[PDF] Electrical Power Systems Technology, Third Edition | Free eBooks Download - EBOOKEE! Posted on 2018-01-06, by luongquocchinh. Description: Covering the gamut of technologies and systems used in the generation of electrical power, this reference provides an easy-to understand overview of the production, distribution, control, conversion, and measurement of electrical power. The content is presented in an easy to understand style, so that readers can develop a basic comprehensive understanding of the many parts of complex electrical power systems. 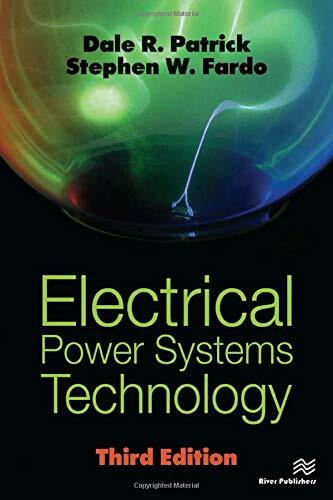 The authors describe a broad array of essential characteristics of electrical power systems from power production to its conversion to another form of energy. Each system is broken down into sub systems and equipment that are further explored in the chapters of each unit. Simple mathematical presentations are used with practical applications to provide an easier understanding of basic power system operation. Many illustrations are included to facilitate understanding. This new third edition has been edited throughout to assure its content and illustration clarity, and a new chapter covering control devises for power control has been added. No comments for "[PDF] Electrical Power Systems Technology, Third Edition".